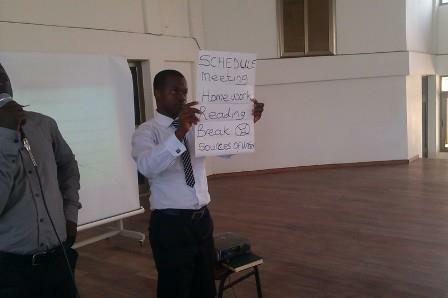 The seminar was held on Monday 1st of April 2013 from 10am to 12.30pm in the OLA College of Education Assembly Hall. 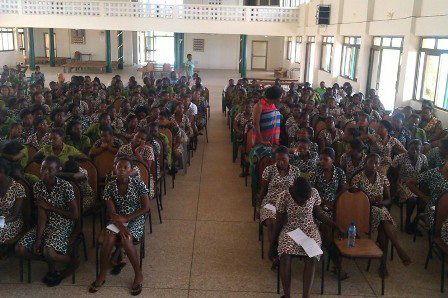 This seminar was therefore organized in partnership with CLED Ghana and OLA college of education, Cape Coast in the Central Region of Ghana. The aim of this seminar is to strengthen student teacher trainees’ knowledge and understanding of Specific Learning Difficulties; its causes, signs and the necessary support strategies needed to ensure that pupils with Specific Learning Difficulties experience optimum quality education, able to access the curriculum and be inclusive so that they can reach their maximum potential possible. In all 457 participants participated including 4 CLED Ghana and 2 Patriot Ghana Team members, 5 Lecturers from OLA College of Education, 442 student teacher trainees of OLA College of Education and 4 Representative from Youth As A Mission Development Association, Osanko and Vision Rural Development Foundation. The seminar helped in improving 442 participants’ knowledge and understanding of learning disabilities and some management and support strategies. This project is being run nationwide in partnership with CLED Ghana. Campaign For Learning Disabilities (CLED Ghana) is a nonprofit organization in Ghana registered under the Registrar Generals Department of the republic of Ghana, as a Non-Governmental Organization (N.G.O.) and it has been incorporated under the Ghana Companies Code 1963 (ACT 179) and issued with certificate number G-39,991. CLED Ghana seeks to form a partnership to develop, empower and support children and youth with learning disabilities have every opportunity to succeed in school, work and life through: advocacy, education, health assistance, training services, support research; life skills leadership and career coaching and support. Is a teacher training institution located at cape coast in the central region of Ghana, West Africa. 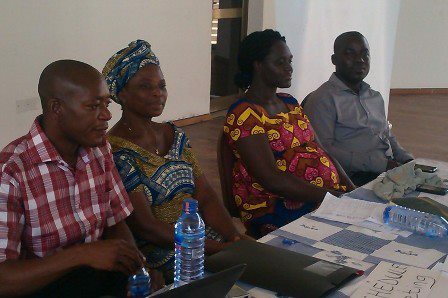 One of the key issues surrounding participation in basic schooling both in Ghana and the world over is the phenomenon of specific learning disability. Learning disability is known not as a single condition but an umbrella condition that is not well understood. In this regard questions and answers that lead our community fora and seminars indicate that Ghanaian communities, parents and teachers have very little or no knowledge about children/youth with Specific Learning Disabilities. As a result, they consider them as lazy, useless and parents use them for their economic activities and as surrogate parents while they face hate crime from teachers, peers and families. Our observational visit in some schools also revealed that, Ghana Education System does not provide sufficient support to pupils with specific learning difficulties. The rationale for this seminar argues that unless Learning disability is understood by teacher trainees, they will not be able to provide any meaningful support and intervention to pupils with learning disabilities in the mainstream school system. It is against this background that Patriots Ghana in partnership with CLED Ghana and OLA college of education in Ghana organized this seminar to equip student teacher trainees’ with knowledge and understanding of Specific Learning Difficulties; its causes, signs and the necessary support strategies needed to ensure that pupils with Specific Learning Difficulties experience optimum quality education, able to access the curriculum and be inclusive so that they can reach their maximum potential possible. 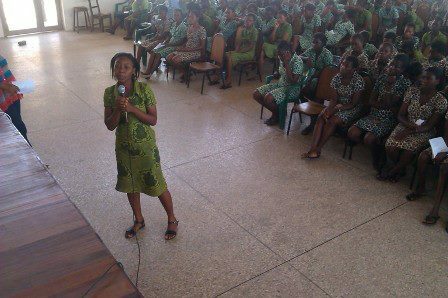 The seminar was held on Monday 1st of April 2013 from 10am to 12.30pm in the OLA College of Education’s Assembly Hall in the Cape Coast Metropolitan Assembly of the Central Region of Ghana, West Africa between the hours 8:00am to 12:30pm. An opening and a closing prayer was said by Rev. John Manso-Hamilton of the OLA College of Education, the host institution. Welcome address was given by Mrs. Rose Buah-Bassuah, Head of Education Department of the OLA College of Education, the host institution. Dr. (Mrs.) Nana Ama Browne Klutse of Ghana Atomic Energy Commission; University of Cape Coast and the Chairperson for CLED Ghana gave the purpose for the seminar. 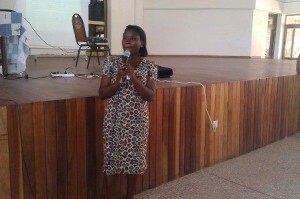 She also educated participants on specific learning disabilities, its causes and effects. Mr. Eric Opoku Agyemang, the National Coordinator of Patriots Ghana schooled the participants on the aims and activities of CLED Ghana and Patriots Ghana. Mr. Eric Kpegah a Special Education Resource Officer from Ghana Education service and also a volunteer for CLED Ghana schooled the participants on signs and characteristics of children with learning disabilities. The Programme Coordinator of CLED Ghana Mr. Padmore Abeku Quansah, also took the participants through specific types of learning disabilities, nine intelligence and some classroom support strategies. In all participants were given platform to ask questions and their questions were addressed by the facilitators. Closing remarks Rev. John Manso-Hamilton of the OLA College of Education, the host institution in his closing remarks entreated the students to make good use of the knowledge gained at the seminar when they enter the teaching profession. After the seminar, Patriots Ghana and CLED Ghana team met with some college authorities to discuss a formal partnership memorandum of understanding to create a Chapter of Patriots Ghana on campus and also for CLED to continue training of inflow of student teachers. We came to a consensus that a document on the MOU be sent to the Principal of the College for his perusal. a. Patriots Ghana Rep 2 males b. CLED members present were 3 male and 1 female c. College Staff present 3 males and 2 females d. Student Teacher Trainees present were 442 females e. Other NGOs representatives present 4 Total: 457 Participants Outcome/ Results of the Seminar A post seminar interview with some lecturers and the students revealed that: • Pupils with Specific Learning Difficulties in Ghana will now have access to at least 442 teachers with enhanced knowledge and critical understanding of specific learning difficulties • Ghana will now have 442 teachers from OLA College of Education with skills and knowledge to provide the needed support to learners with such difficulties under their tutelage. • 442 student teachers now understand the broad range of learning needs encompassed in the term of Specific Learning Difficulties (Dyslexia, Dyspraxia, Dyscalculia, Dysgraphia, Attention Deficit Disorder, Attention Deficit Hyperactivity Disorder, Scotopic Sensitivity or Meares-Irlen Syndrome). • 442 student teachers also now understand learning disabilities terminology, definition, causes, signs, implications for teaching and classroom support strategies. The major challenges to the seminar were funds to procure resources for participants to practice and demonstrate support strategies discussed with them; give participants handouts and to provide some snacks participants for the long hours spent on this day. We learnt that, involvement others especially the beneficiary, earned their commitment, trust, participation and support. We learnt that collaborating with other NGOs erase duplication of programme, resources but create room for empowerment, sharing experiences and expertises. We learned through pre and post seminar questions and answers, interview sessions that, the participants were having very little or no knowledge about specific learning disabilities. To replicate and up-scale this initiative to other teacher training colleges (37) in Ghana and also to sign MOU with colleges of education and make this programme a regular feature of their academic calendar. There should be more training on learning disabilities for teachers • In-service training for teachers must be done termly • Government and development partners should consider supporting and collaborating with NGOs working in the area of Learning Disabilities. We would like to express our sincere gratitude to the Almighty God for gracing and making this seminar a success. We are also thankful to CLED Ghana and Learning Disability Carers Community of United Kingdom not only for their support for this seminar but also the time we spent working together on the seminar. 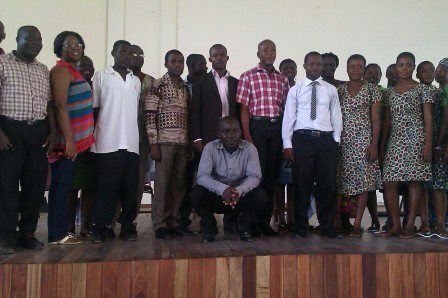 We are also grateful for the platform and supports given us by the Management of OLA College of Education in Ghana to have such a seminar with their student teacher trainees. Next, we extent our appreciation to Youth As A Mission Development Association, OSANKO, Vision Rural Development Foundation and Friends of the Disabled Club of OLA College of Education. We are grateful to all the student teachers who assisted us during the seminar period. Finally we thank all those who participated in this seminar especially the student teacher trainees whose cooperation made the completion of this seminar successful. Many thanks to everyone who spent time reading this report. Blessings!